HIPAA security and privacy revisited: Is your business at risk? Practically every business that processes, stores or otherwise handles protected health information data (PHI) is required to comply with privacy and security controls. Does that include you? And are you really compliant? 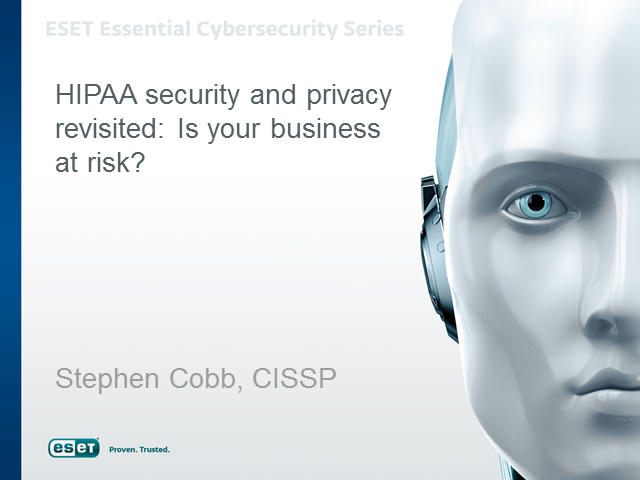 Title: HIPAA security and privacy revisited: Is your business at risk?